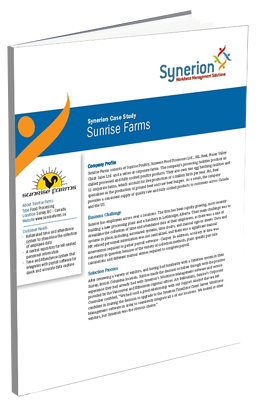 Sunrise Farms is a food processing company located in Surrey, British Columbia. As their business grew, they were presented with the challenge of confusion over the various data collection methods and manual entries to complete payroll. To find out more, fill out the form on the right and download your copy today.